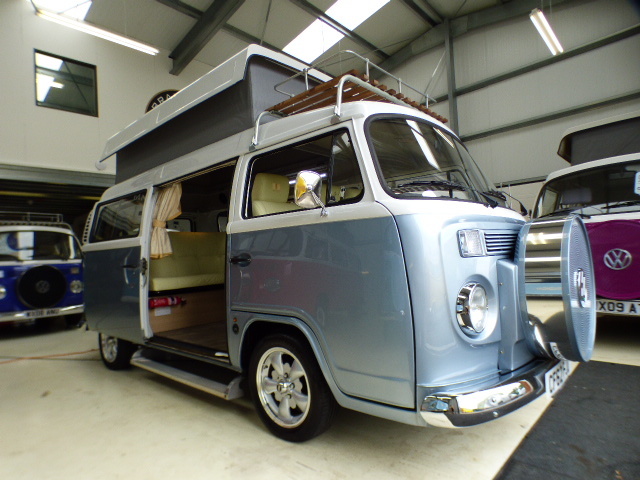 Great spec, as new condition. 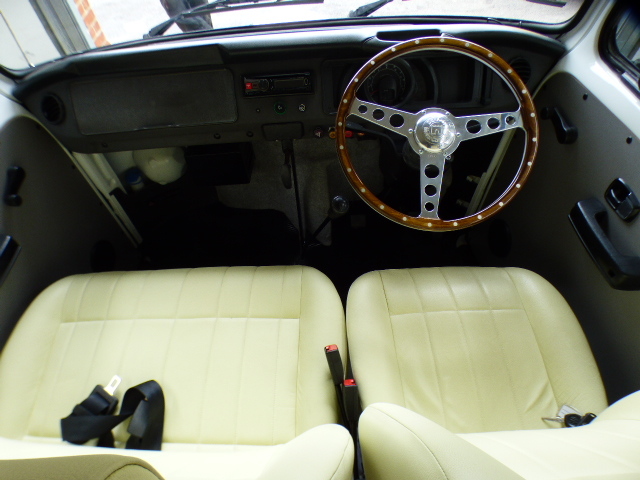 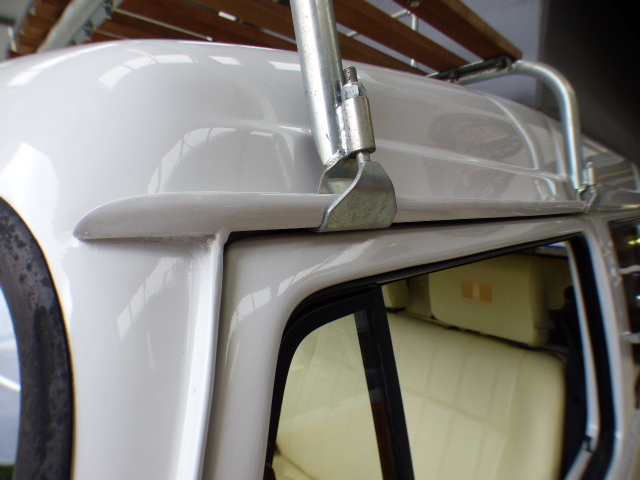 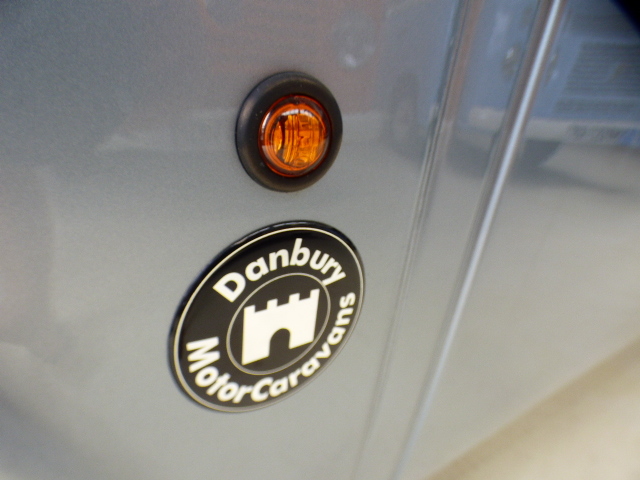 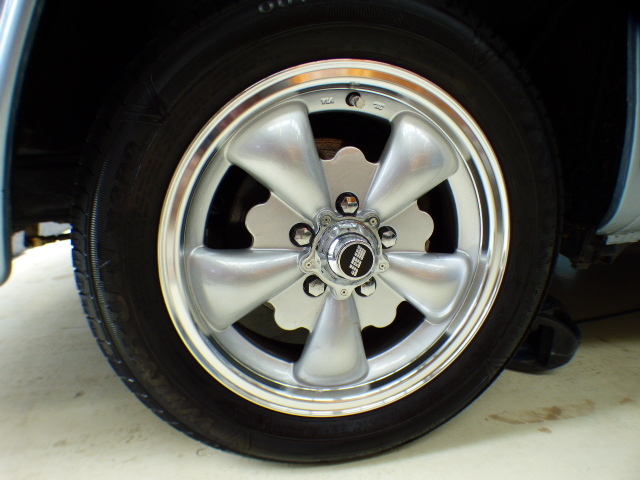 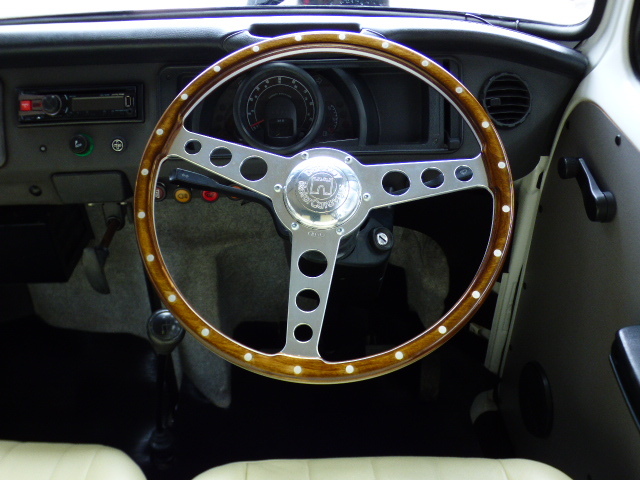 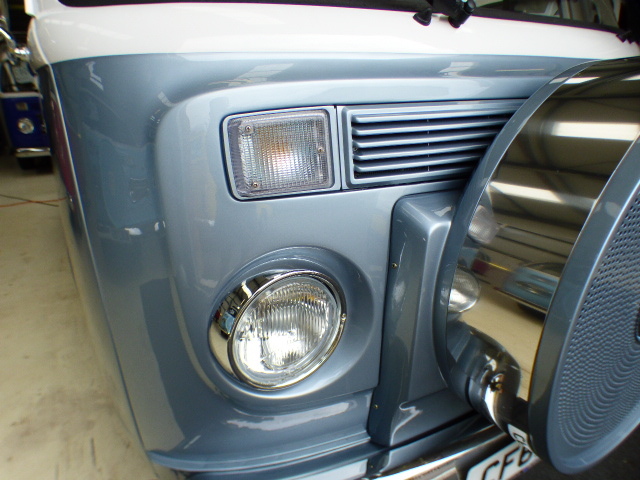 This is a top of the range VW Danbury Special Edition. 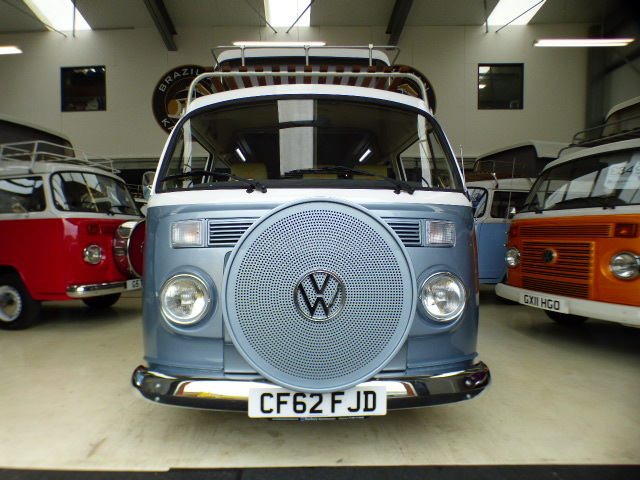 Exterior: Blue / Silver metallic paint work, full chrome pack to include the bumpers, lowered suspension and 15″ alloys, front “Fake” colour coded tire cover, rear mounted colour coded spare wheels carrier, rear parking sensors, pop top roof with upper bed board to make 4 berth with a added sunroof. 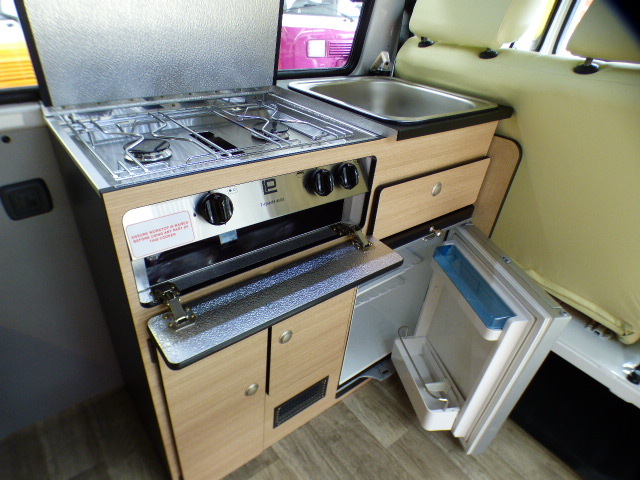 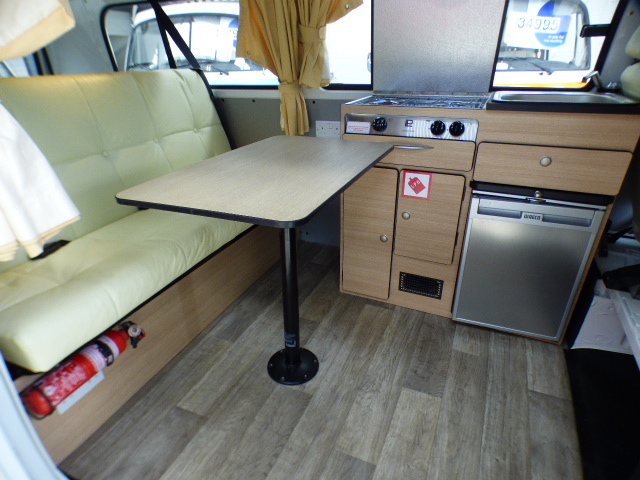 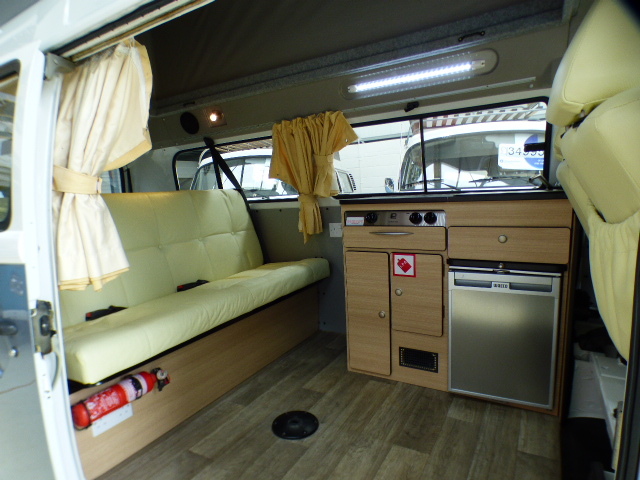 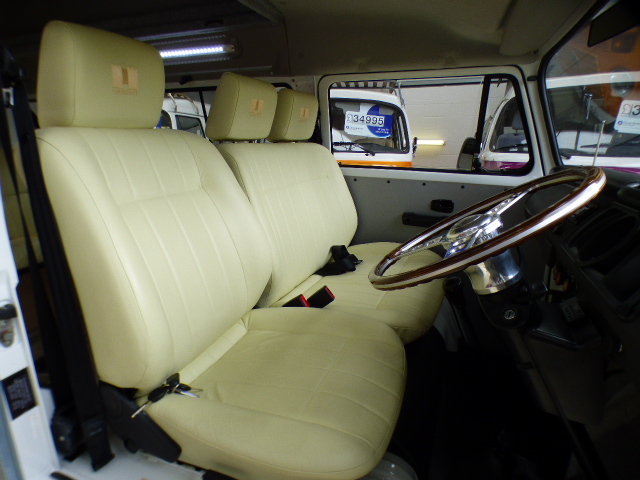 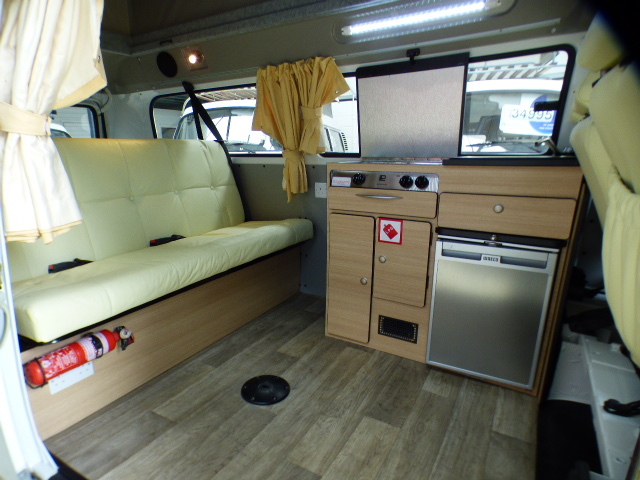 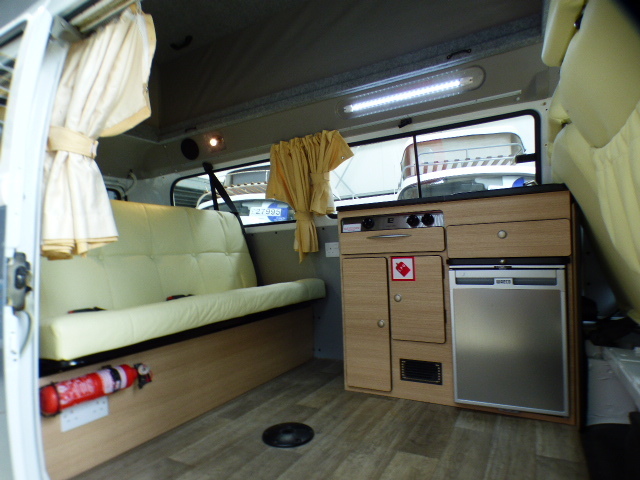 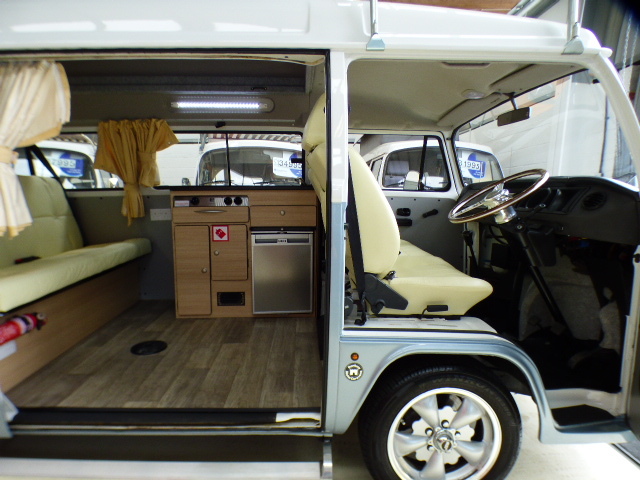 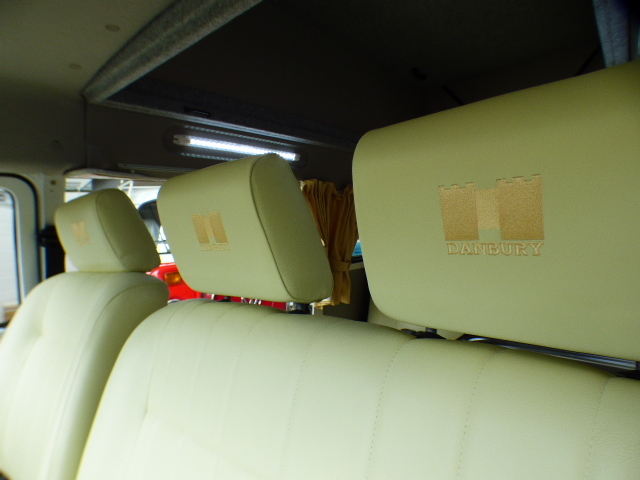 Interior: Full cream leather upholstery , Compact kitchen units to include, cooker, oven, grill, sink with pumped water, compressor fridge, 240v hook up, leisure battery, spot lights. 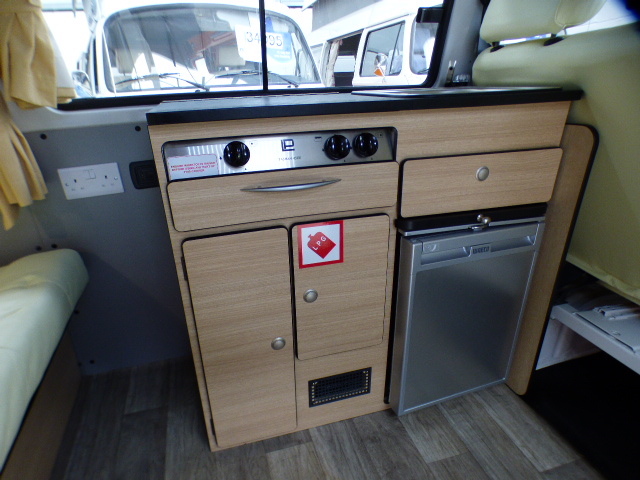 In the front of the camper there is a heating system, front and rear heated windscreens, iPod headhunt with front and rear speakers. 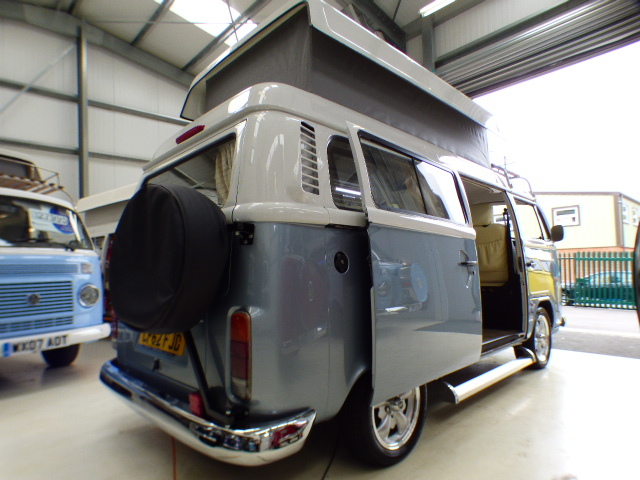 Mechanics: Modern water-cooled engine provides reliability , great MPG and motorway driving speeds with low tax and insurance it is a very economical vehicle to keep on the road. 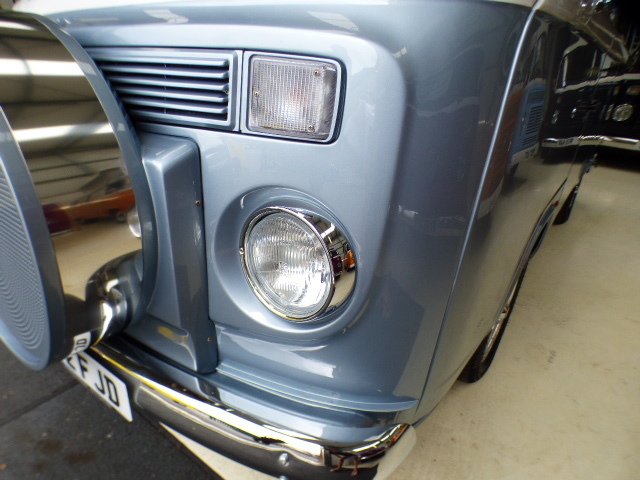 Under side rust prevention has been applied to keep it in top condition and a FSH! 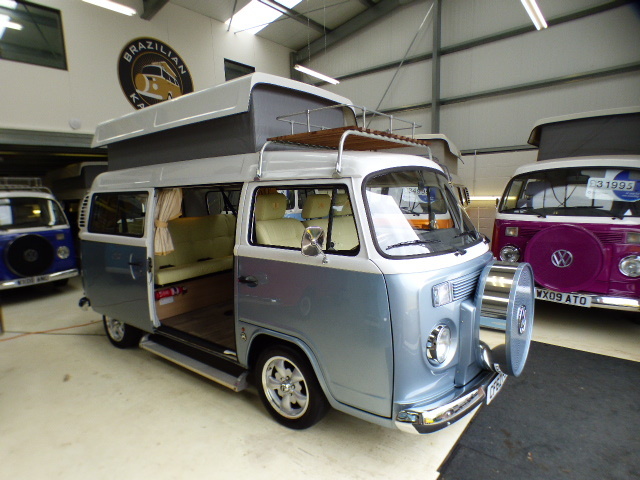 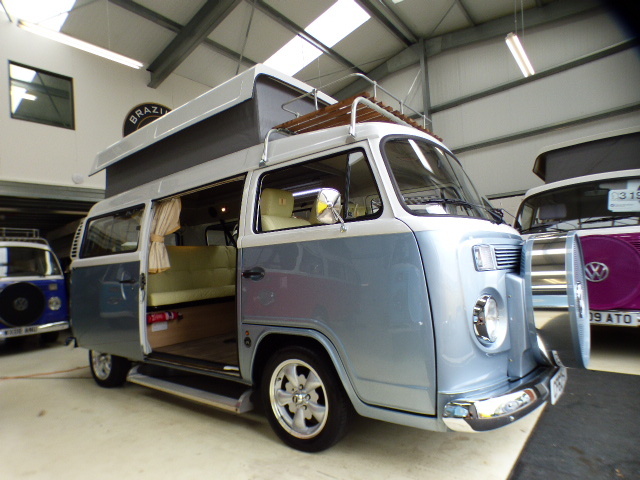 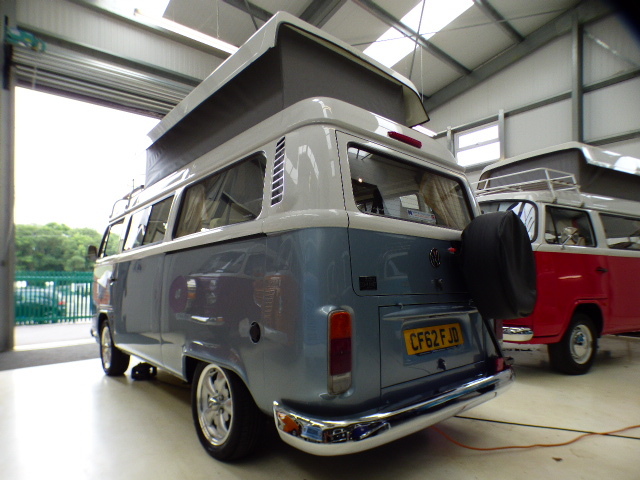 This camper will be sold with a 12 months MOT, full major service and check over, PDI inspection, new leisure battery, full valet including hand polish and leather treat all backed up by our 3 months parts and labour warranty! 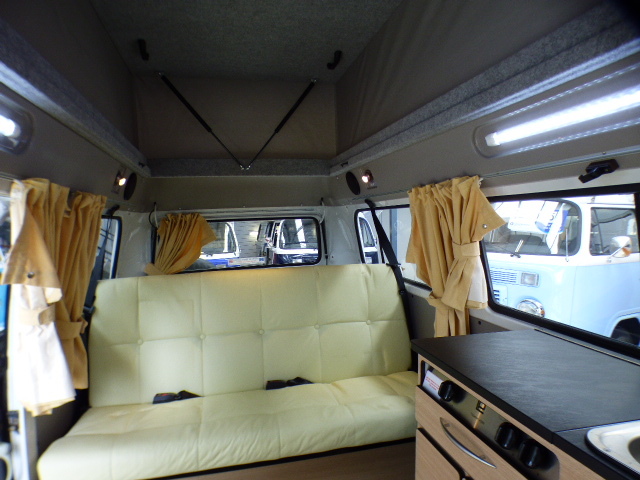 To enquire about finance please use our finance calculator listed below.